Three students from the University of North Carolina at Chapel Hill were selected as recipients of the 2019 William D. Weir Honors Fellowship in Asian Studies, a program designed for students who have started their Chinese language journey and would like to develop advanced working language skills. Second-year students Mattias Miller and Owen Warmuth and third-year student Judy Cheng will join the ranks of Carolina students and alumni who have been awarded the prestigious Weir Fellowship during the program’s many successful years. Recipients spend the spring semester in Beijing for intensive language study at the CET Chinese Language Center hosted at Capital Normal University. They then devote eight weeks during the summer to an internship in Shanghai to put their advanced professional language skills in application. Internships are customized to match a broad range of student interests, from law and business to the arts, journalism, and health and human services. Judy Cheng, a third-year student from Durham, North Carolina, is majoring in chemistry and Chinese. She is interested in electrochemistry and the development of cheaper alternative sustainable energy sources. Coming from a background where many family members originated from rural China, she hopes to one day teach at underserved schools and help the left-behind children. Through the Weir Fellowship, Judy wishes to attain a level of fluency in Mandarin that will allow her to work professionally in the field of electrochemistry in China while translating on the side. In her free time, Judy enjoys learning about Chinese culture and wishes to learn more about her heritage and identity.The William D. Weir Honors Fellowships in Asian Studies were established in 1995 by Peter Boneparth ‘80 and Heather Weir Boneparth ‘80, to honor Heather’s late father, William Donald Weir. He was a graduate of the U.S. Naval Academy and following a long career with defense contractors and consultants to the Pentagon, Mr. Weir joined the State Department as a foreign services reserve officer and expert in US naval expenditures for the Arms Control and Disarmament Agency as they engaged in the SALT-START talks. The fellowship was conceived while Peter was serving as the CEO of the Jones Apparel Group and recognized the importance of having employees with Chinese language skills to creating lasting business relationships with partners in China. He came to believe the long-term, sustainable success between the two countries would be predicated on many more U.S. citizens immersing themselves in the language and culture of China. Mattias Miller, a second-year student from Statesville, North Carolina, is a Media and Journalism major interested in telling personal stories in the context of global developments. After participating in an exchange program at multiple Chinese schools his junior year of high school, Mattias became captivated with how language shapes thought and began pursuing Chinese his first year at UNC. 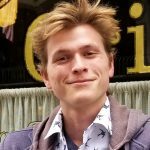 Through the Weir fellowship, Mattias hopes to obtain a fluency in Chinese that allows him to understand people from the perspective that they understand themselves. Owen Warmuth, a second-year student from Boone, North Carolina, is majoring in Chemistry and Chinese. Owen started studying Chinese upon arriving at UNC, and quickly realized the beauty and intrinsic artistry of the written language. What started as a hobby developed into a passionate pursuit of understanding and communicating the Chinese language. As a chemistry major, Owen sees the importance of efficient communication in the scientific community and its effect on the development of biotechnological advances. 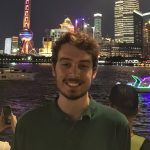 The Weir Fellowship will allow Owen to develop his skills in Chinese so that he may one day use them to help bridge the communication gap between the scientific communities of China and the United States: two countries that will be powerful promoters of change when working together. William D. Weir Honors Fellowships in Asian Studies offer Carolina undergraduates a unique opportunity to develop their language skills and gain practical, independent work experience in China. The fellowship is open to all UNC Chapel Hill undergraduates with at least three semesters in residence, a 3.2 GPA or higher, and at least three semesters of Chinese language. The Fellowship covers most of the program expenses, including CET program fees, airfare, housing, textbooks, excursions, and medical insurance. Students contribute the equivalent of UNC tuition for one semester and cover their food and personal expenses. Read more about the Weir Fellowships on the program’s website.